This is an herb that is sold as a dietary supplement in the US and other countries. It is mainly known and used as a treatment for hot flushes, a symptom of menopause. There are several ways in which the herb is prepared. It is mainly prepared from the roots of the plant. The underground stems are also used in preparation. The preparation involves extracting and preparing a solution using ethanol. The extract is then used to make tablets. Normally, a tablet will contain 20 mg of the root extract. The use of this herb as an alternative medicine dates back many centuries. It was used by the American Indian medicine men to treat malaise, gynecological disorders, rheumatism, lung diseases, back ache, constipation, and hives. It was also used to induce both lactation and menstruation. In modern medicine however, this herb is mainly used in controlling symptoms of menopause. As said earlier, this herb is mainly used for the treatment of menopause related problems. Studies have indicated that it has an effect on hormones. The herb shows activity similar to that of the hormone estrogen. When a woman is undergoing menopause, the levels of estrogen lower. On the other hand she experiences a rise in luteinizing hormone and follicle stimulating hormone. This hormonal imbalance causes menopause symptoms. The herb works by lowering the levels of luteinizing and follicle stimulating hormones. As a result hormone production is balanced and the symptoms of menopause are controlled. Is Black Cohosh Effective In Treating Menopause Symptoms? It was found that the herb had an effect in lowering the levels of follicle stimulating and luteinizing hormones. The herb had an effect of inhibiting the growth of cells that cause breast cancer. It was shown to have an effect on the vaginal wall of women undergoing menopause. Women in this stage tend to have a different vaginal epithelium than pre-menopause women. The herb had an effect of restoring the wall to its status before menopause. The herb was also found to have an effect on increasing the volume of the uterus. Menopause is known to have a thinning effect on the uterus. This herb counters this effect. There are very few documented side effects of this supplement. However, there are users that complain of mild headaches and stomach discomfort. There is one documented case of a woman who got liver disease after using cohosh. It was however found that she may have used a large dosage of the supplement than directed by the doctor. Since the herb has estrogen like effects, it has been found to have an effect on the wall of the uterus and breast tissue. There have also been several complaints of having problems with newborns after using black cohosh to induce labor. Millions of people have used this herb without experiencing any adverse side effects. It is safe to assume that it is safe for human use. The most important thing to do is to ensure the medicine is not taken without medical supervision. Although the herb has no adverse side effects, there are people who should be cautious about using it. Pregnant women should not take this supplement unless it is under the supervision of a doctor. Women who are having breast cancer or related symptoms should avoid the supplement. This is because the effects of this herb on the breast tissue are not well understood yet. People with liver diseases should not take black cohosh. If you get liver complication symptoms such as dark urine or jaundice after using the supplement, you should stop usage immediately. 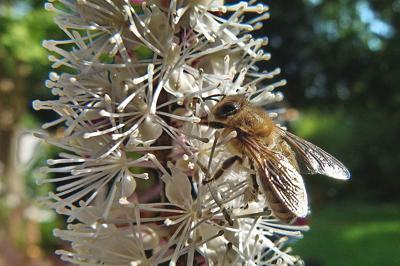 If you are taking any other form of medication, consult your doctor before taking Black Cohosh as a supplement.